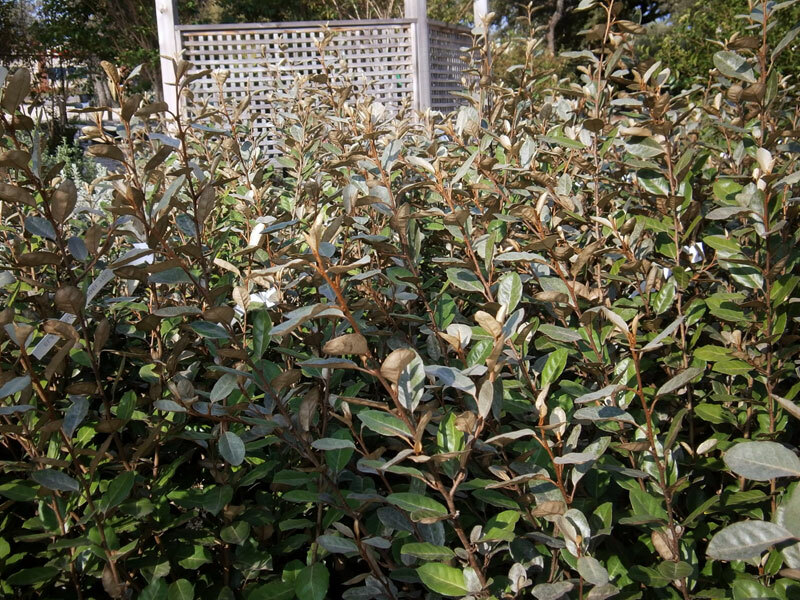 Elaeagnus, also sometimes called Silverberry is our October pick for Plant of the Month. This plant may look plain at first glance, but read on to see why it's so tough and versatile! 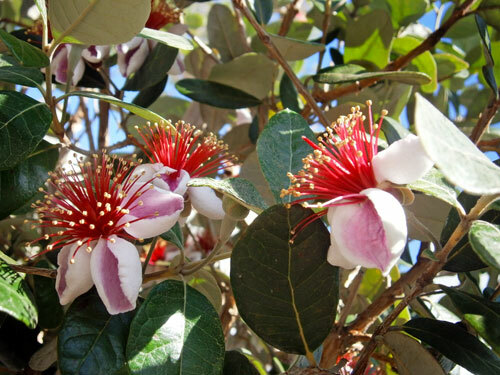 There over 50 different varieties of this shrub; the most common variety that we carry is called Elaeagnus ebbingei. 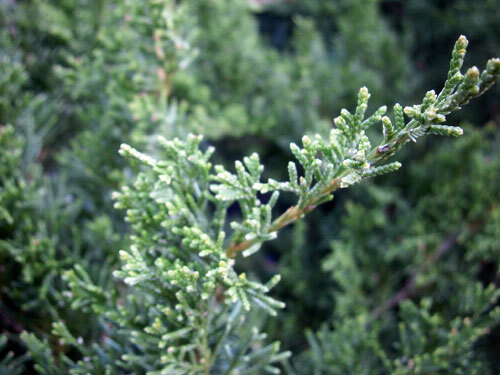 They are evergreen shrubs with an upright, spreading growth habit with dense, full foliage. Fast growing when young, they make an excellent choice for privacy screening. 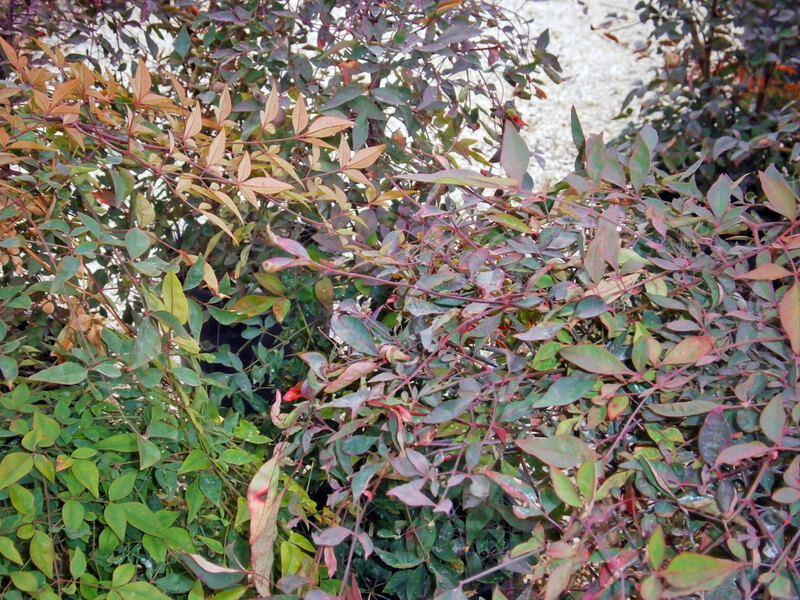 At first, Elaeagnus might look like any other shrub in the landscape. But a closer look reveals silvery, olive green foliage. One of the most notable characteristics are the silvery or coppery brown dots on the leaves. These little dots reflect sunlight giving them a slight shimmer in the light. Those little dots also give it a rough, bumpy texture similar to sandpaper. Elaeagnus also makes small, but very fragrant bell-shaped white flowers in October or November. The flowers are followed by a small orange-red drupe fruit that ripens in spring. These little fruits are also edible! This plant is extremely tough. 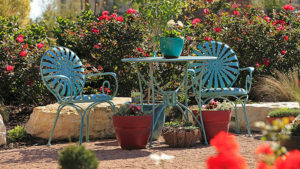 It tolerates poor, rocky soil as well as our Texas heat. It's also very drought tolerant once established and can even tolerate salt and wind for those who want to plant it near the coast. Oh yeah, remember that rough, bumpy texture? The deer don't like that and generally leave Elaeagnus alone. Relatively disease and pest free, it's pretty easy to grow; although spider mite can sometimes get after it. Give Elaeagnus ebbingei plenty of space and plant in full sun or partial shade. It can grow to about 6' tall and 4' wide. 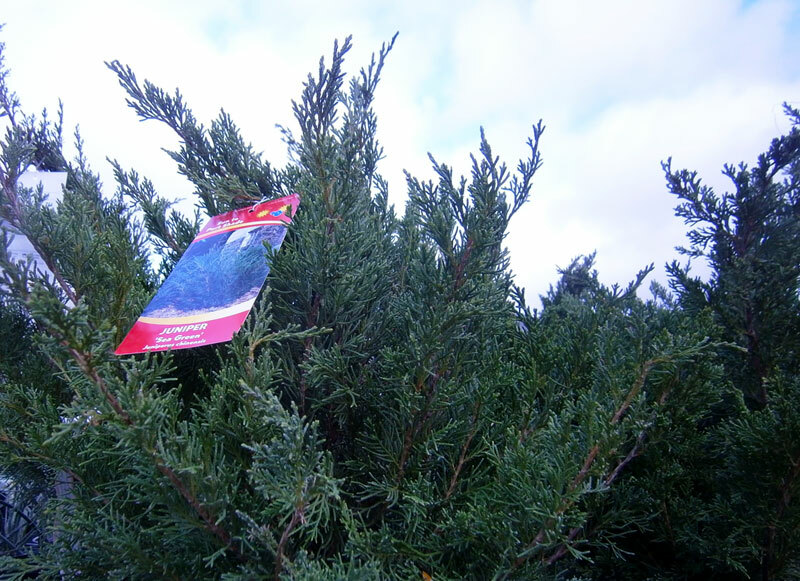 Other varieties vary in size and some can reach 15' tall! 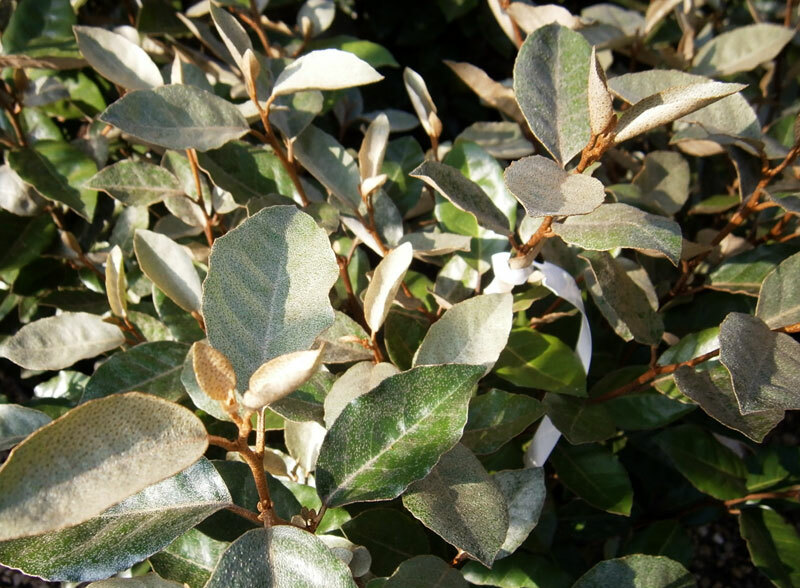 The silvery foliage of Elaeagnus looks especially nice against darker foliage plants like some of the dark purple Loropetalums, Magnolias or maybe a Leyland Cypress. These shrubs can be espaliers, background or barrier plants and they are good for slopes and erosion control. While it can be clipped into a hedge, you may be fighting long unruly branches trying to poke out of that nice neat form you want. Generally it does better when left to its own devices. Also a good choice near the pool, exposure to chlorine won't bother it one bit. You can even grow Elaeagnus in a container!